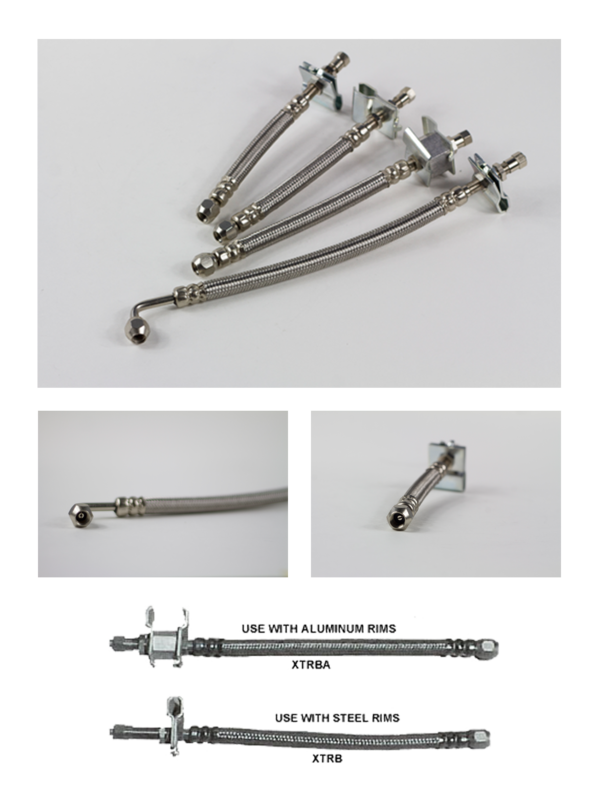 Dual Dynamics, Inc. valve stem extender is available in lengths of 5, 7 and 9 inches* with the steel braid hose. Available in convenient single items, card packs (two extenders per pack) or bulk quantities. Each extender has all necessary mounting hardware included.